LEBANON – God’s game plan sometimes includes a buzzer beater. 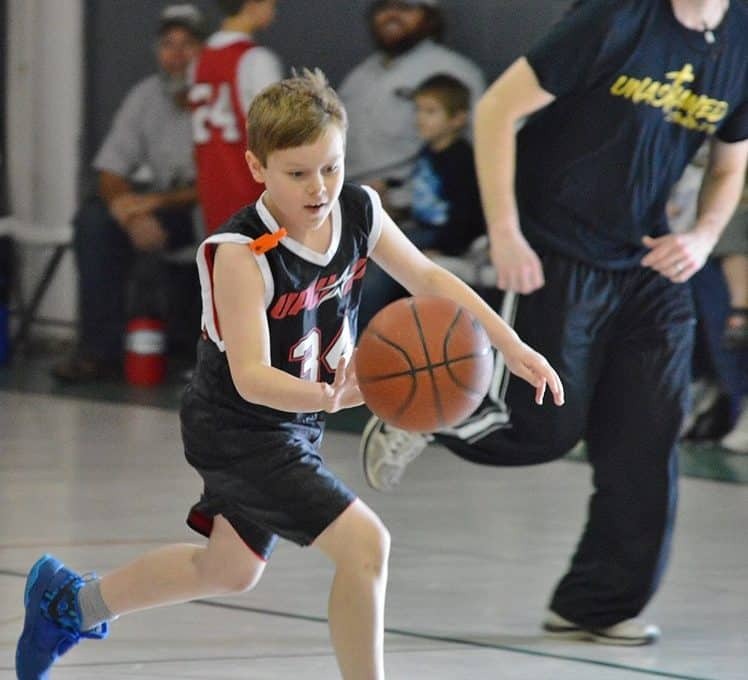 For the Upward Basketball and Cheerleading program here, a last-minute setback turned into an opportunity for Kingdom partnership. Charlie Pentecost, the Next Generation Pastor at Heritage Baptist Church in Lebanon, serves as Director for the Lebanon Area Upward League. Since 2015, Heritage Baptist Church and Hillcrest Baptist Church have partnered together to host games. With 267 participants this year, Pentecost knew that a third gym would be necessary for the league to run smoothly. Pentecost approached a third facility in the fall and believed that the gym would be available to serve as a third site. Less than two weeks before the first game, the third facility was called into question. Having already made schedules based on three facilities, Pentecost literally felt full-court pressure and saw the clock ticking. Pentecost, along with other pastors from Hillcrest and Heritage, brainstormed how they could possibly find a third gym on such short notice. Through that discussion, someone noted that Second Baptist Church in Lebanon had a facility that might be available. Pentecost remembered that Daniel George, Second Baptist’s new youth and children’s pastor, had volunteered to coach a team along with his wife, Josie. Pentecost quickly texted George, and in less than 30 minutes, George met Pentecost and unlocked the doors to Second Baptist’s gymnasium. After a tour, George and Pentecost walked across the street to meet with Bill Garrett, the senior pastor. At that meeting, Pentecost asked Garrett if 2nd Baptist would be willing to join Heritage and Hillcrest as a ministry partner. Garrett responded with immediate enthusiasm. With games just over a week away, 2nd Baptist acted quickly to prepare their facility. They voted to order two new adjustable goals, and Pentecost helped them mark out a court sized for 1st-2nd graders. The church found volunteers to man a concession stand, and George stepped up as the site coordinator. The goals came in and the court was completed on Thursday, Jan. 24th. That Saturday, Jan. 26th, the gym was filled with hundreds of fans eager to watch their children and grandchildren play. Little did they know that God had made the games possible with a buzzer beater of his own. David Brown, the senior pastor of Hillcrest Baptist Church, expressed excitement regarding the expanding partnership. In addition to the three churches who host the games, volunteers for the league come from many other churches in the community. Pentecost, Brown and Garrett all affirmed the value of partnership for gospel witness. Brown noted that this partnership could be a model for other churches to consider.